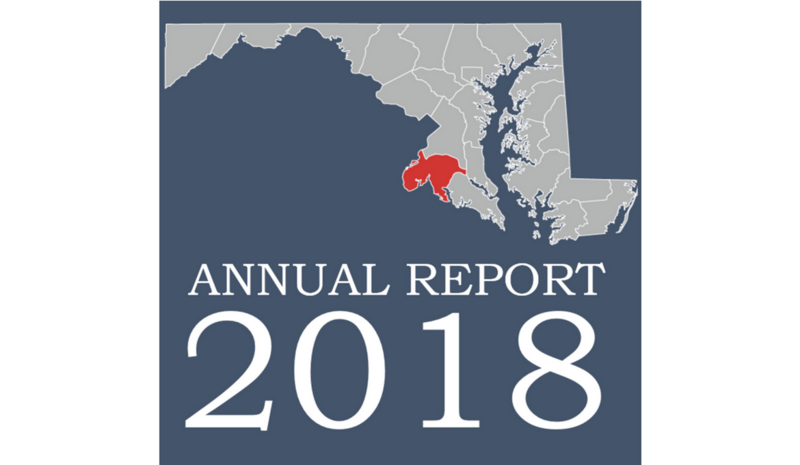 The Charles County Charitable Trust is pleased to present this annual report. The year covered runs from July 1, 2017, through June 30, 2018. The Board of Directors and staff members wish to express appreciation for the County’s ongoing support for the Trust’s work. Such support makes it possible to promote and maintain programs that directly benefit the local nonprofit sector and in turn provide myriad benefits to the residents of Charles County. One of our most visible programs is the Nonprofit Grant Award Program, which the Trust has been managing since 2016 through a partnership with the County. The Trust also carried out a wide range of other initiatives designed to build the strength of the nonprofit sector. They include the Nonprofit Economic and Social Impact study, the Presidents’ Council, the Nonprofit Leadership Colloquium, and the Pro Bono Collaborative. In addition, the Trust undertook a series of meetings with community leaders to heighten awareness of the role of the community’s diverse nonprofit sector. The Trust also took time to provide individual nonprofit groups with practical help and advice on a variety of topics critical to their interests.